The last month of 2018 saw sales of popular models like the Honda Activa and the Royal Enfield Classic 350 dropping down. While new entrants like Suzuki Access 125 and the Bajaj Platina gained a new high. Overall, Hero, Honda, TVS, Bajaj, Royal Enfield and Suzuki retailed a total of 8,68,622 units among themselves. But who took the lion’s share and why? We find out. The Chennai-based manufacturer may look like it’s having its best year in a while, with both the Interceptor 650 & Continental GT 650 receiving rave reviews from critics. However, things seem to be quite different on the sales chart. The company has seen a decline of 27.8 per cent in sales, over a year. In fact, sales of the Classic 350, RE’s highest selling model also went down from 47,558 units in December 2017 to 34,325 units in the last month. The 125cc scooter segment was very hotly contested last year, with the launch of the TVS NTorq, Hero Destini 125 and more. Although we feared that the Suzuki Burgman Street might affect the Access’ sales, that wasn’t the case. The Suzuki Access 125 continues to be the popular choice for buyers. So much so, that it is now the bestselling scooter in its segment. Or at least that’s what the numbers tell us. According to SIAM reports, Suzuki sold 39,163 units of the scooter in December 2018 alone, helping it break into this list. Going forward, we don’t doubt that this number will continue to rise. It’s safe to say that scooters have been eating into the sales of commuter bikes in India, of late. A prime example of this is the Honda CB Shine, which has lost four positions as compared to last year. Honda was only able to sell 49,468 units of the motorcycle in the past month as opposed to 67,011 units back in 2017. A marginal price drop or an addition of a few features should help bump these numbers up. Also Read - Honda CB Shine Vs CB Shine SP: What’s the Difference? Years after its launch, the TVS Jupiter still remains the second bestselling scooter in its segment, only behind the Honda Activa. This can be largely credited to features like an external fuel filler cap, reserve fuel indicator, 12-inch alloy wheels, telescopic forks up front and more, which surprisingly still remains absent from the segment leader. However, the scooter has seen a decline of 11.7 per cent in sales - down from 59,483 units in December 2017 to 52,502 units in December 2018. But this could be attributed to the growing market of 125cc scooters. With the influx of newer, international brands, you might believe that the Bajaj Pulsar series has lost its charm over the years. But sales numbers tells a different story. The brand, in fact, has climbed from ninth position to sixth this year, by selling 56,737 units in December 2018 as compared to 40,879 units in December 2017. Speaking of Bajaj, the Platina series has made a surprise entry into this list. It can be attributed to the update the bike received in November 2018. The introduction of CBS and new body graphics for a very competitive price might’ve helped Bajaj in selling 58,474 units in the month of December last year. TVS’ XL Super has maintained its popularity, thanks to its low pricing and load-carrying capability. The company even updated the moped with an electric start and new colours, back in June 2018. As far as sales numbers go, the TVS XL has climbed up a spot up, but has sold lesser units in December 2018 (59,828) as compared to December 2017 (67,005). At the third spot for the two times consecutively is the Hero HF Deluxe. 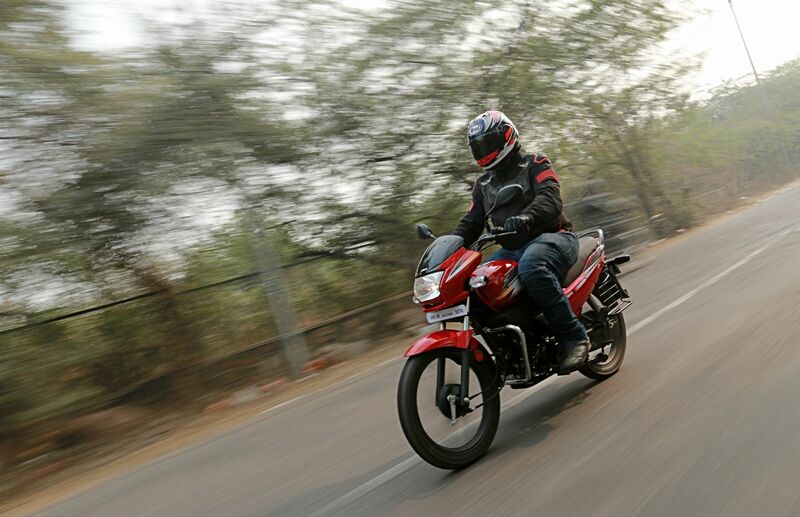 Sales of the entry-level commuter have soared in a year, from 127,932 unit in December 2017 to 165,321 units in December 2018. This can be credited to its affordable pricing and Hero’s stronghold in dealership network and after-sales services. Even though we haven’t seen a major overhaul since it was launched, the Honda Activa continues to be the go-to family scooter for a majority of Indian families. The numbers reaffirm the same - 174,393 units in December 2018 as compared to 189,111 units in the same month in 2017. As a further testament to its popularity, Honda even claims that an Activa is sold every 8 seconds! Not surprising then it remained the bestselling two-wheeler in India until it was eventually taken over by the next entry on this list. If it was anyone who had the potential to take the Honda Activa’s spot, it was the Hero Splendor. The motorcycle, which will celebrate its 25th anniversary this year, still hasn’t lost any fan following. Helping it achieve this reputation has been its proven reliability, generous fuel efficiency and a wide network of Hero’s service stations available even in the smallest of towns. Hero managed to sell 174,393 units of the Splendor family in December 2018 compared to 165,110 units in December 2017.